What are social tags? How to use social tags? Content is a key SEO ranking factor. But to expand your content to a wider audience, you need to improve its potential outreach. This is where social tags can help. Social tags refer to Open Graph and the Twitter Cards. The Open Graph was introduced in 2010 by Facebook to ease integration between its platform and other websites by allowing them to become rich “graph” objects with the same functionality as other Facebook objects. In fact, that meta tag determines how an URL will be displayed on a third-party website. Now, Open Graph is supported by other social media like LinkedIn or Twitter (even if this last one has developped its own one, the Twitter Cards). The Open Graph is a great partner to your overall SEO strategy since it can drastically increase your click-through rate and your conversions. Twitter provides several types of Cards: Summary, Player, Large Image, App and Lead generation. This tag is really helpful if you are regularly blogging. Actually, this tag is relevant when you are posting links back to your website from your Twitter account. The card makes your tweet expandable and your content is also visible online within Twitter. As the Open Graph, Twitter Cards are a great way to grow engagement and click-through rate. 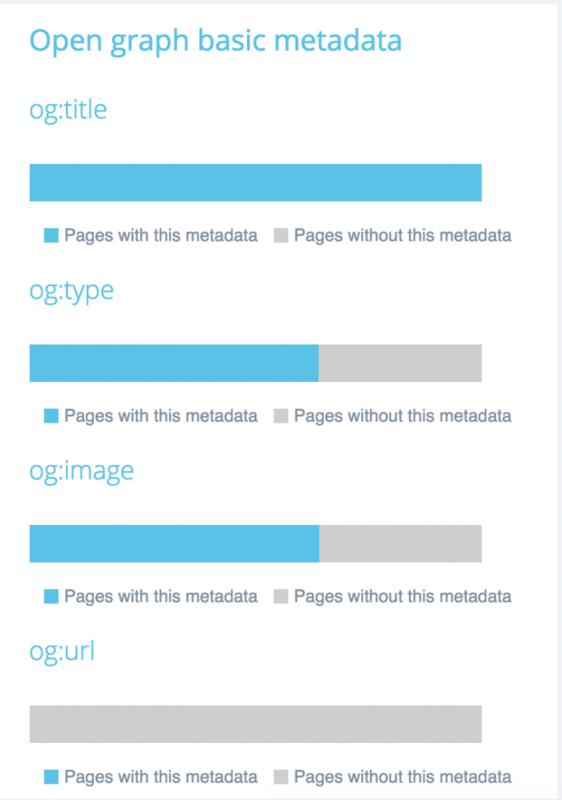 At OnCrawl, we have integrated those data to our new content tab. You can easily check if your Open Graph and Twitter Cards are well setup. 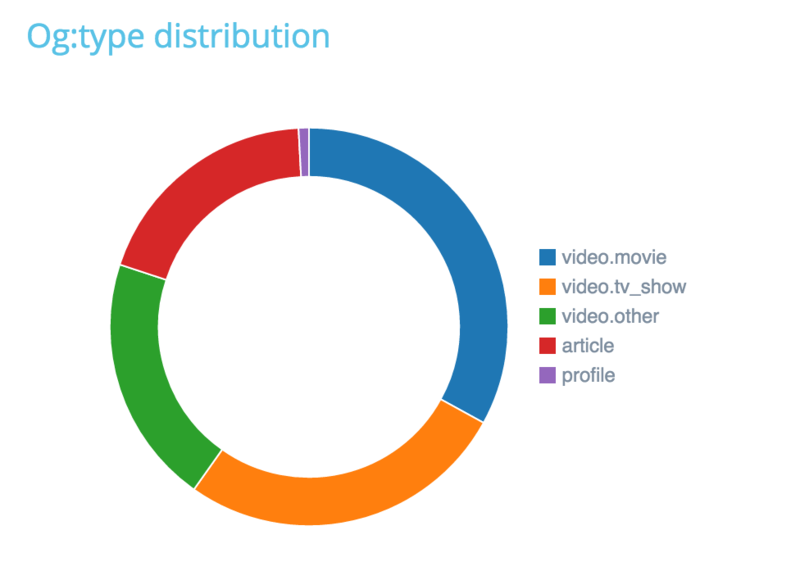 Our report clearly draws your Open Graph performances and distribution. And you can still access the URLs details for further informations. In the graph below, you can easily see which pages have complete or incomplete Open Graph and if your og:url are matching or not its canonical. In the chart below, you can easily see your og:type repartition. The website we analyzed deals with cinema news and offer movie teasers. It then deals with og:type related to movie or video than can help better index its content. Then, you can check if you have filled out the main metadata. 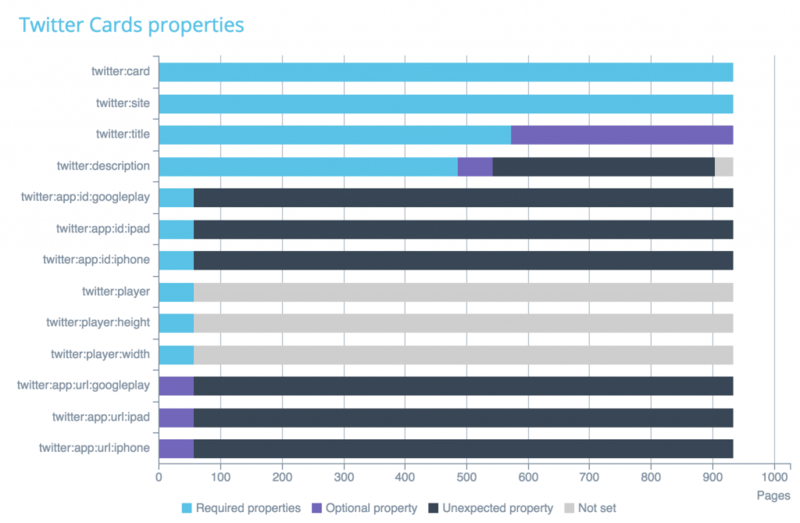 Like for any charts, you can see which specific URLs are concerned if you click on a specific segment. There are optional metadata you can fill out to add extra informations about your content and increase your shares potential. The chart below shows your Twitter Cards distribution or in other words which types of Twitter Cards you are dealing with. 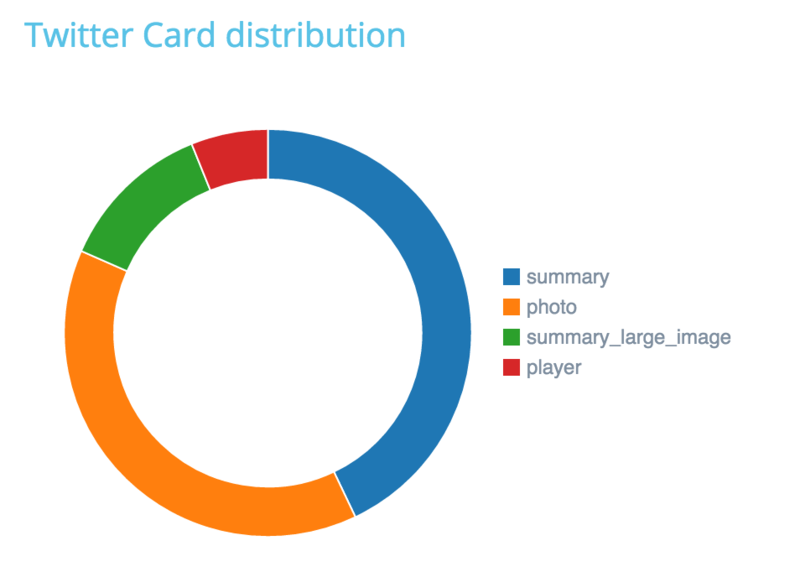 Finally, your Twitter Cards properties chart analyzes all your Twitter Cards elements by type of property and number of pages. Additional tags: og:audio, og:description, og:determiner, og:locale, og:locale:alternate, og:site_name, og:video, etc. Supported types of Twitter Cards: Summary Card, Summary Card with large image, Player Card, App Card, Lead Generation Card.